This is the final piece in a series of posts celebrating St. George's Choral Society's history during our bicentennial year. CBS broadcast of Noye's Fludde, 1964. At Christmas time in 1964, CBS broadcast St. George's production of Benjamin Britten’s Noye's Fludde to a national audience. The performance featured the Choral Society and members of St. George's Church, ages 4 through 90. "We decided that the time had come to have a parish church present something which would draw together the entire community. People of all ages. In this performance were people from preschool age through their 80s. Which would bring together people of all religions or of no religion. Which would give them something of high standard, which was first-rate musically. In which they could all throw themselves and join. This is why we chose this particular performance. And we called together 200 people in the cast. As you’ve seen, there were 100 animals and birds. We had a few unexpected difficulties. We had planned to have the animals and birds come in two by two. At the first performance however, we discovered that one of the weasels had come down with the measles. The birds enter the ark. From CBS broadcast of Noye's Fludde, 1964. "We had a second reason for doing this, and this was to give people a sense of the roots in the past in a day when many people are frightened that humanity may be blown off the face of the earth. Here is a story, a biblical story, written probably 1,000 years before the time of Christ, but based on legends long before that. The Babylonian myth of the flood, which is preserved for us in certain of the ancient epics. Here is a miracle play, and written by a great contemporary British composer. This is why we chose to perform this particular work, and this is why the people have been so enthusiastic that we are not only going to show it on television at this performance, but we are going to have other performances at St. George’s Church from May 13 to 16, 1965." As our 200th year comes to a close, Rev. Miller’s words about the importance of bringing together a community ring as true now as they did more than 50 years ago. We thank you for being a part of our community today. Praised by The Washington Post for her “clarion” voice with “a wealth of shades," French and Canadian soprano Chloé Olivia Moore makes her role debut this season as as Liù in Turandot with both Dayton Opera and Cedar Rapids Opera Theatre, and sings performances of Beethoven’s Symphony No. 9 with both The Orchestra Now and the Rogue Valley Symphony. Last season she sang Nedda in I pagliacci (Dayton Opera), Donna Anna in Don Giovanni (Bar Harbor Music Festival), and made her Kennedy Center debut in the Art Song Discovery Series; with Vocal Arts DC. Other recent performances include: Leïla in Les pêcheurs de perles (Dayton Opera) and Donna Anna in Don Giovanni (Castleton Festival). While a Resident Artist at the prestigious Academy of Vocal Arts she performed numerous roles including: Violetta in La Traviata, Manon Massenet’s Manon, Tatyana in Eugene Onegin, Adina in L'elisir d’amore, Mélisande in Pelléas et Mélisande, Antonia in Les contes d’Hoffman, Garcias in Don Quichotte, Zdenka in Arabella, Donna Elvira in Don Giovanni, and Ms. Brown in the world premiere of The Scarlet Letter. On the concert stage, Ms. Moore has performed Rossini’s Stabat Mater, Poulenc’s Gloria, Mozart’s Requiem, and Beethoven’s Symphony No. 9 and Haydn’s Creation. 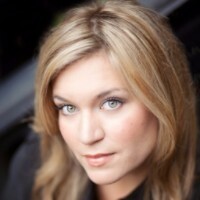 Ms. Moore has won top prizes with the George London Foundation (George London Award), Gerda Lissner Foundation (1st Prize), Giulio Gari Foundation (2nd Prize), Liederkranz Foundation (3rd Prize, Opera Division), Loren Zachary Vocal Competition (3rd Prize), and in her native Canada with the Prix Jeune Espoir Lyrique Canadien with Les Jeunes Ambassadeurs Lyriques. Hailed as a “vibrant stage personality” matched with a “sizable creamy mezzo,” Carla Jablonski’s vocal versatility has captivated audiences across the globe. Ms. Jablonski was most recently praised for inhabiting the title role in Dido and Aeneas with “impressive sophistication.” She returns to The Metropolitan Opera this season to sing in productions of Cavalleria Rusticana, Parsifal and Verdi’s Requiem. She also sings as soloist in Dvorak’s Requiem. Past seasons include her role debut as Dorabella in Cosi fan tutte followed by performances of the Secretary in The Consul with Florida Grand Opera, with whom she also sang Annina in La Traviata and 3rd Lady in Die Zauberflöte. Previously, she’s sung various roles with Wolf Trap Opera, Opera Santa Barbara, Central City Opera, and Chautauqua. Equally at home on the concert stage and an advocate of new music, Ms. Jablonski made her Lincoln Center debut at Alice Tully Hall singing Five Songs by Charles Ives arranged for orchestra by John Adams, followed by her Carnegie Hall debut as the alto soloist in Handel’s Messiah. She also has sung as a featured soloist with the Saint Paul Chamber Orchestra, New York Festival of Song, Caramoor International Music Festival, and American Opera Projects, among others. She holds a Master of Music from The Juilliard School and a Bachelor of Music from Manhattan School of Music and is a recipient of a Drama Desk Award. Praised by Opera News for his “galvanizing presence,” this season tenor Jonathan Tetelman makes his New Orleans Opera debut as Marco in Chadwick and Barnet’s Tobasco. He also joins both the Berkshire Opera Festival and Gulf Shore Opera for Duca in Rigoletto, the Metropolitan Opera’s roster for their production of Norma, and sings Dvorak’s Requiem with St. George’s Choral Society. Last season, Mr. Tetelman sang his first performances of Rodolfo in La bohème with the Fujian Grand Theatre in China, joined the Milan Festival Orchestra in Lake Como, Italy for Verdi’s Requiem, the Orchestra Now for Elgar’s Dream of Gerontius, and made his Carnegie Hall debut with the New England Symphonic Ensemble for Mozart’s Coronation Mass. Additionally, he joined St. George’s Choral Society for Dvorak’s Stabat Mater, Gulf Shore Opera for concert performances including selections of Alfredo in La Traviata, Rodolfo in La bohème, Duca in Rigoletto, and was a finalist in the Metropolitan Opera National Council Auditions New York District. Other recent performances include: Eisenstein in Die Fledermaus(Martina Arroyo Foundation); Gnecchi’s Cassandra (Teatro Grattacielo); and Steven Sankey in Weil’s Street Scene, Freddy Eynsford-Hill in My Fair Lady, and Alfredo in La Traviata (Opera North). Mr. Tetelman is the First Prize winner in the 2016 New York Lyric Opera Competition, 2016 prize-winning finalist in the Mildred Miller (Opera Theater of Pittsburgh) Competition, and was a semi-finalist in both the Giulio Gari International Vocal Competition and the Gerda Lissner International Vocal Competition. A recipient of the prestigious Lenore Annenberg Fellowship in the Arts, baritone Alex Lawrence made his Vancouver Opera debut in the 2017 season as the title role in Mozart’s Le Nozze di Figaro, and will debut the role of Il Conte in the same opera in the 17/18 season with Opera Naples. Formerly a member of the ensembles of Theater Basel and Opernhaus Zürich, Lawrence made his European debut in Switzerland singing The Hunter in Rusalka, Moralès in Carmen and L’Ami in Debussy’s rarely performed La Chute de la Maison Usher. Since then, he went on to make several further role debuts in Zürich, including Silvio in Pagliacci under Alexander Vedernikov, Ned Keene in Peter Grimes under Erik Nielsen, and the three baritone roles of Bohuslav Martinu’s rarely performed Juliette, under Fabio Luisi. Previous noteworthy engagements included his principal role debut with the Glimmerglass Festival in Cooperstown, NY, singing Belfiore in Verdi’s King For a Day, of which The New York Times noted the debut of a “sensational” new talent. In 2014, Lawrence performed in a high profile gala concert for the 85th Anniversary of the Ópera de Bellas Artes alongside legendary tenor Franzisco Araiza, soprano Maria Katzarava and bass Eric Halfvarson. He made his Lucerne Festival debut as Don Quixote in Manuel De Falla’s El Retable del Maese Pedro conducted by Clement Power, performed as the baritone soloist in Mendelssohn’s Die Erste Walpurghisnacht with the Orchestra Symphonique de Mulhouse, and debuted the role of Sam in Bernstein’s Trouble in Tahiti for the opening festival of Opernhaus Zürich’s 2012/13 season. A 2007 B.M. graduate of Northwestern University, Alex Lawrence received an Artist Diploma from the Academy of Vocal Arts in 2011, and has been a top prizewinner in several major international competitions. Rehearsals for our Fall 2017 concert begin on September 6. We want you to sing with us! Want to join for the first time? We will hold auditions for all voice parts on September 6 and 13, from 6:00-7:00. Contact us to schedule an audition. We rehearse from 7:00–9:30 PM on Wednesday evenings at St. George's Chapel, 5 Rutherford Place, one block east of Third Avenue between 16th and 17th Streets. Find out more about membership in the Members section of our website, and download our rehearsal schedule. Our Fall concert, the last of our 200th year, features Dvorak's Requiem. We premiered this piece in America in 1892. For our Spring concert of Verdi's Requiem, we will perform with the Greenwich Village Orchestra for the first time. It's almost time to start singing once more. Our bicentennial year comes to an exciting close with our fall concert of the Dvořák Requiem. We welcome new members. Contact info@stgeorgeschoralsociety.org to set up an audition and join in the celebration. Keep singing with us as we close out the season with a new collaboration and our annual Summer Choral Festival. For the final program of our bicentennial year, we present a choral masterpiece: Dvořák’s Requiem. The connection between composer Antonín Dvořák and St. George’s Choral Society is rich and interesting, including a link with American icon Harry Burleigh. This program includes a complete performance of the Requiem, a piece St. George's Choral Society debuted in America in 1892. For full orchestra, large chorus and soloists, it is a fitting conclusion to the bicentennial celebration of St. George’s Choral Society. St. George’s Choral Society joins forces with another group of highly skilled amateurs, the Greenwich Village Orchestra, in a performance of Verdi’s Requiem. Led by Music Director Barbara Yahr, this 70-person orchestra has brought orchestral music to New York City for more than 25 years. Barbara Yahr and Matthew Lewis have been discussing the possibility of a collaborative program for some time now and it seems this Verdi program is the perfect fit. The Verdi Requiem offers many rewarding elements, for both choral singers and orchestral players. This monumental work is always an audience favorite. The Summer Festival is a program of works for choir and strings. Bach’s motet, Lobet den Herrn, alle Heiden, BWV 230, is the only one not scored for double chorus. Singers will enjoy performing this contrapuntal masterpiece in German. The choral works of Bach are a great way to get a choir to exercise their agility and clarity! The Schubert Mass in C is a refreshing alternative to his popular Mass in G. Full of lyricism, brilliance, and charm, this piece is a delight to sing, and a refreshing program for any audience. The combination of these two works will be an enticing program for summer singers. St. George's Choral Society memories keep coming in, and we are thrilled to share them with you. You can submit #MySGCSMemory here. We can only continue creating musical memories with your support! Our fiscal year ends on July 31. Consider making a year-end donation today to support the choral memories of tomorrow. We were members of the St George’s Choral Society in the golden days of Charles Henderson and Calvin Hampton. Our first concert was a joint program of “Elijah” with Frederick Swann on the organ, done both at St. George’s and at Riverside Church. 300 voices. Under Calvin Hampton we did Carmina Burana twice, once with orchestra and once as intended with two pianos and percussion. Most memorable was Frank’s “Les Beatitudes,” a monumental work, especially since there was a lot of French for us to do. For 200 years, St. George's Choral Society has made lasting impressions on those who have heard and sung with the choir. Last week, we asked you to share #MySGCSMemory. This week, we are excited to share some submissions. It's not too late to send us your SGCS memory! It's our 200th year and we want to hear from you! Did you attend a memorable concert or event? Is there a rehearsal you will never forget? Tell us about it below or share it on social media using #MySGCSMemory. We might share it on our website, Facebook page, or in a future email. So begins our new podcast, produced and narrated by Naomi Lewin, the former host of weekday afternoon music on WQXR, and of the podcast Conducting Business. Listen to learn about the history of the group, hear from current members, and enjoy music from St. George’s Choral Society performances.